After years of rumors building up expectations for the Apple iPhone to a level that could never have possibly been met in reality, Apple has finally announced the product and it is as good, if not better, than the rumors predicted. This device has everything. No really. Everything. Take the functionality of a conventional phone, add a stripped-down version of Mac OS X, Wi-Fi, Bluetooth, audio and video playback, web-browsing, Google Maps, widgets, a 2.0-megapixel digital camera that can process video too, and a 3.5-inch multi-touch display. Wrap all this in an 11.6mm super-sleek case composed of pure Apple-ness and you've got the iPhone (tech specs here). Now, to decompress a bit from my iPhone-induced Apple fanboy state, there are a couple things that the device is lacking. The most notable of these is expandable memory, followed by true 3G wireless data rates (through EVDO or something similar), and finally the ability to purchase and download iTunes Store content to the iPhone directly via Wi-Fi. That said, the iPhone is really an incredible milestone in mobile technology. Check out some of these photos as well as some of the ones on Apple's site if you don't believe me. As an added bonus, take a look at this graph of Apple, RIM, and Palm stock prices today... notice a trend? 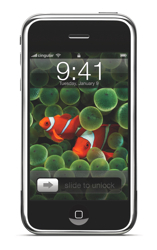 The iPhone will be Cingular-exclusive and retail at $499 for the 4GB model and $599 for the 8GB model. Unfortunately, it looks like we're going to have to wait until June for it to arrive in the U.S., but at least there's the Apple TV and new iTunes Paramount content to look forward to for now. Via Joi Ito's blog, a Google Video of Lawrence Lessig's talk at the 23rd Chaos Communication Congress. A worthwhile watch, and a standing ovation at the end. 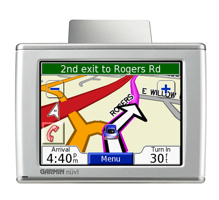 The hobby of geocaching came to my attention several months ago, however I was unable to actually try it out until I received the gift of a Garmin nüvi 360 GPS. For a full review of the nüvi, see my earlier post here. Also, you can view my profile and caches found on the geocaching website here. First, let me address some of the issues others have encountered with geocaching using the nüvi. Many have cited the nüvi's lack of a compass in its interface, however a compass can be found on the satellite reception screen accessible by touching the signal bars in the upper-left corner of the home screen. Also, it has been noted that the nüvi has a tendency to snap to nearby roads rather than recognizing that the user could be traveling off-road. This can be corrected by changing the vehicle type to "Pedestrian" and the route preference to "Off Road" in the navigation settings. Step 1: Download geocaching ".loc" files from geocaching.com. Step 2: Use a program such as Mac SimpleGPS (for Mac) or GSAK (for Windows) to convert the ".loc" files and combine them into a GPX file. Step 3: Drag the GPX file into the Waypoints folder in the "Garmin" folder on the nüvi's removable drive (if there is no Waypoints folder, create one). Note: The nüvi can only hold a maximum of 500 waypoints. Step 4: Disconnect and boot up your nüvi and your cache waypoints should be in the Favorites section. Despite its relative simplicity, the above method has several shortcomings, notably that there is little to no information about the cache available on the nüvi itself, and that the caches are thrown into the waypoints section rather than the cleaner "Custom POIs" section. The following is a step-by-step how-to detailing the best method I have found for adding geocaches to the nüvi's memory. This only works on Mac OS X and can take a great deal longer than the previous method. Step 2: Use Mac SimpleGPS to combine all of the ".loc" files into one GPX file. Save the GPX file somewhere safe. Step 3: Use Mac SimpleGPS to go through one at a time and edit the information for each cache in the GPX file. In the description field, add however much information you want in order to help you find the cache once you are in the field. I usually visit the cache's page on geocaching.com and copy the entire description that the person who hid the cache has posted. The nüvi is wonderful for this aspect of geocaching because there is no limit to the amount of information you can put in the description field, the nüvi will display it all on-screen and let you scroll through it. Note: Step 3 can possibly be avoided by subscribing to a premium geocaching.com membership, however I have not been able to get the GPX files that the premium membership allows you to download to work completely with Mac SimpleGPS or any alternative on the Mac, although they appear to work quite well with several Windows geocaching programs. Step 4: Once your GPX file is edited and saved, download and open GPSBabel. Use the GPX file as your input file and choose input file type "GPX XML" and output file type "GPX XML." Step 5: Under "Filters" hit the "Select..." button. In the window that pops up, check the option to "Generate smart shortnames." Click "OK" in this window, and then "Save File..." in the main window. Save the new GPX file and quit GPSBabel. The reason for using GPSBabel to make a GPX file out of a GPX file is because its "Generate smart shortnames" option causes the caches to be tagged with their actual names rather than "GCR2HK" or some other geocache ID, making searching caches on the nüvi much easier. Step 6: Download MakeGPI and drop your new GPSBabel-edited GPX file on the MakeGPI application's icon. Let MakeGPI process the file (this may take a while) and when it quits you will see a new ".gpi" file in the same directory as your GPX file. Note: It appears MakeGPI has been updated into a full-fledged application (gpx2gpi). The link above should get you there, but just in case, here's gpx2gpi. 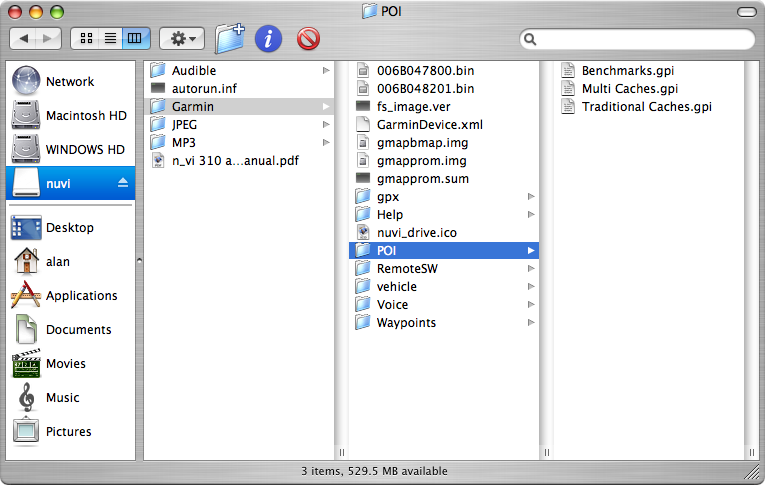 Step 7: Create a "POI" folder in the "Garmin" folder on the nüvi's drive if there isn't one already and drop your new ".gpi" file in that folder. It is always a good idea to keep a backup of your GPI file and especially your original GPX file (the one before using GPSBabel, because after processing with GPSBabel, Mac SimpleGPS can no longer edit the file). Step 8: Disconnect and boot up the nüvi. There should be a new option in "My Locations" under the "Where to?" menu called "Custom POIs." Inside here you will see a category for each GPI file you drop in the nüvi/Garmin/POI folder. Choose a category or the option for "All Categories" and you will see the nearest caches to you. Select a cache and the nüvi will display the full description that you entered earlier (or copied and pasted from the cache's website). There is a slight bug in that the nüvi displays part of the cache description twice due to GPSBabel's processing technique, however it is not a major inconvenience. Just scroll down a bit on the cache's entry in the nüvi and you will see the entire description. I hope you find this how-to article helpful, and have fun geocaching with the nüvi! Having received the Garmin nüvi 360 as a Christmas gift, I can say that so far my experience with the device has been overwhelmingly positive. The most stunning aspect of the nüvi is its size. It fits easily in my palm and my pocket (even a jean pocket) and wastes almost no space with hard-wired buttons. This is achieved by its wonderful touch-screen display spanning the full area of the device's front side. The interface is simple, elegant, and intuitive. The most amazing experience in intuitiveness I have had so far with it is when I decided to try pressing and holding the touchscreen's "Back" button. I had found it slightly annoying that the user has to hit this button several times before finally arriving back at the home screen, and guessed that maybe holding the button down would exit the menu system and return me to the top level of the interface. The nüvi did just that! With almost no time whatsoever spent reading the manual, I was able to discover functions like this in the nüvi's interface and figure out how to do what I wanted on the device. Another major plus is the nüvi's universality and cooperation with Mac OS X. While the manual and other documentation only display instructions for Windows users, the nüvi is in fact almost 100% compatible with the Mac. I quickly found that connecting the nüvi's USB cable mounted a removable drive on my desktop. This is an invaluable step in the evolution of GPS receivers. Now I can transfer music (which it can play with its built-in speaker) and photos (which it can display on its gorgeous screen) directly to the nüvi's drive, as well as drop new waypoints and POI databases directly into folders within the device's memory. As if this wasn't enough, the nüvi gets wonderful GPS reception and acquires satellite data almost instantly even indoors. I was getting 14-foot GPS resolution with a roof over my head and only a few windows in the room. The nüvi also has bluetooth built-in so it can communicate with my phone and even dial numbers associated with POIs and waypoints. All that said, I do have some complaints about various aspects of the nüvi. 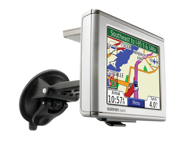 First, there is no option to record or display track logs, a feature commonly present on most GPS receivers. Also, there is no capability for communicating via bluetooth to any device other than a phone. It would be awesome to use the nüvi as a GPS receiver for my computer, making Wardriving with the device possible. Also, it appears the nüvi's Mac compatibility is not quite complete, as whenever I try to eject its removable drive, it pops right back up on my desktop a few seconds later. I have found that unplugging the USB cable immediately after ejecting the drive is a suitable workaround to this issue. I will be following this post up with another one on my newfound hobby of geocaching (thanks to the nüvi), and how I was able to perfect the process of geocaching with this device. I saw this on TUAW today. Apparently Amazon's recommendation engine found the need to pair British yeast extract product Marmite with Apple's .Mac service in one killer bundle deal. That's right, you can get both the Marmite 12-pot pack and .Mac service together for only $108.84! At that price, they are almost certainly "Better Together." I'm not sure how long ago it was introduced, but I just noticed Flickr's Camera Finder feature. The page shows data on the amount of Flickr users taking photos with each camera and the most popular cameras over time, in addition to a whole lot of other interesting data on camera usage. Also, they have an option to search Flickr photos by the camera they were taken with. 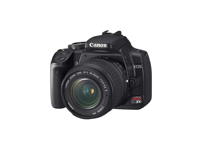 In my opinion, this is an invaluable service for anyone who is considering buying a camera, as you can get an idea of the kind of pictures each camera is capable of taking as well as the general status of each camera in the community. Apple's investigation of their own iPod Halo Effect, more iPhone rumors, a console wars comparison of the Sony PS3 and Nintendo Wii, the Library of Congress' Review of the Digital Millennium Copyright Act, and a Volkswagen Touareg's towing of a Boeing 747 aircraft. 1passwd was one of the rewards, and it is part of the process to post about it, so we'll see if this works. If you haven't already had a look at Apple's website today, you should probably head over there to check it out. Today's "It's Showtime" event left us with more than a few new products to digest, along with a Woz + Segway appearance and the marked absence of a widescreen iPod. First up, we've got iTunes 7, and along with it a name change for the iTunes Music Store, now to be called simply the "iTunes Store." This name change is the result of Apple's decision to sell movie downloads through the store, with back-catalog flicks going for $9.99 and new releases priced at $14.99. Currently the store has around 75 feature-length films available by various Disney subsidiaries, although it's no secret that if these sell well other studios will be hopping on the bandwagon. Films on the iTMS iTS will be available the day that they are released on DVD at "near-DVD" quality (640 x 480, or VGA). There are no rental/subscription fees, and the movies never expire, very similar to Apple's model for selling music. To accompany this new movie download capability, Apple has announced a Wi-Fi media streaming device, code-named "iTV," which will sell for $300 in the first quarter of 2007. iTV is shaped like a thin Mac mini, and sports analog video/audio out ports as well as a high-definition HDMI output. This means that users can place an iTV in their living room and browse their computer's stored media through an interface on their TV by using an Apple remote control. Back on the topic of iTunes 7, several new features have been introduced to the application itself, including a new retro blue icon. One of the major features is "Album Flow," a new way to browse your music, using a 3-dimensional wheel of album covers that you can spin back and forth to find what you're looking for. iTunes 7 also features a significant update to iPod management, combining iPod-related options, iPod software updates/restores, and disk usage statistics into one panel in iTunes, rather than spread out across multiple preference panes and helper applications. As if that all wasn't enough, Apple also made major revisions to their nano and shuffle lines, and minor changes to the standard iPod. New iPod nanos feature aluminum cases in a variety of colors, and capacities of 2, 4, and 8 GB for $150, $200, and $250 respectively. The standard iPod is now available in 30 and 60 GB ($250 and $350), and implements a new search function allowing users to enter queries letter-by-letter, as well as support for games downloaded from the iTunes Store. 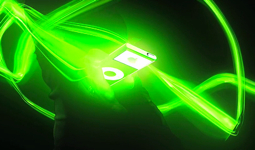 Both the iPod nano and standard iPod now come with 60% brighter screens and have significantly improved battery lives. Last up is the iPod shuffle, which received a significant overhaul in Apple's round of updates. The new shuffle is contained within a one-inch square aluminum case featuring an integrated clip for easily attaching it on-the-go. I have compiled all of the footage I took at Comic-Con on Saturday into one iPod-formatted video and included it in the podcast feed. The quality isn't great, and it was hard to get very good shots of some of the booths through the massive crowds of people that showed up, but it gives a good summary of what the scene on the floor was like. Enjoy! Looks like my old podcast audio comment line from K7 expired due to lack of use for a month, and that soon after this occurred somebody else registered it. As a result, I have registered a new comment line for the podcast at (206) 20-DIGI-9 or (206) 203-4449. If you want to send me an audio comment so that I can play it on the show, that is the new number to call. Apple's new iMac targeted at the education market, rumors about the next Pro Mac desktop system, predictions about new MacBook Pros and Xserves, Google's threat of a lawsuit over a loss of net neutrality, and the new fully automatic self-driving Volkswagen Golf. This weblog is licensed under a Creative Commons License. EverythingDigital is a trademark of Alan Joyce.